When it comes to lining laterals, you often find yourself dealing with a wide range of site conditions and restrictions. HammerHead offers contractors a purpose-made, modular trailer solution for streamlined CIPP (cured-in-place-pipe) operations. 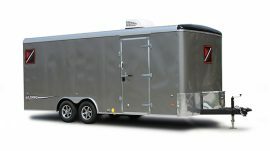 Our trailers have been redesigned to give you maximum versatility to adapt in ever changing job conditions. 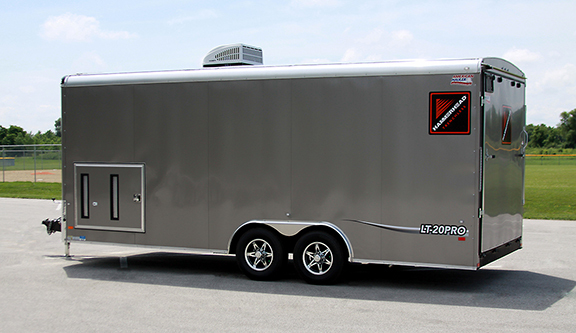 The new LT-20PRO 20-foot lining trailer is designed based on feedback directly from CIPP installers working in the field. The result is a mobile, climate-controlled workstation with all the storage, power and air supply you need for most any lateral lining application. Its components are modular which allows you to configure your trailer to suit your specific needs and can accommodate equipment you already own. Standard equipment packages are also available which include your choice of inversion drum size, curing equipment, and reinstatement and drain cleaning tools.